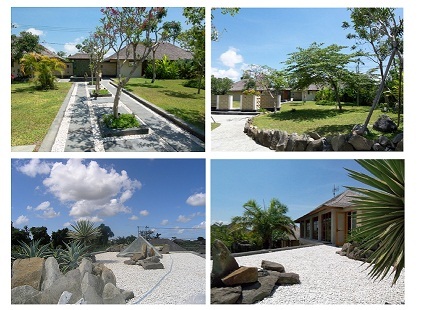 The Bumahan Villa is beautiful villa, build on 2200m2 land and the whole build up area approximately 600 m2. When you enter the property the first thing that catches your eye is the huge free shaped swimming pool (190m2) with Jacuzzi with wet lounge beds and the adjacent sauna at the pool. 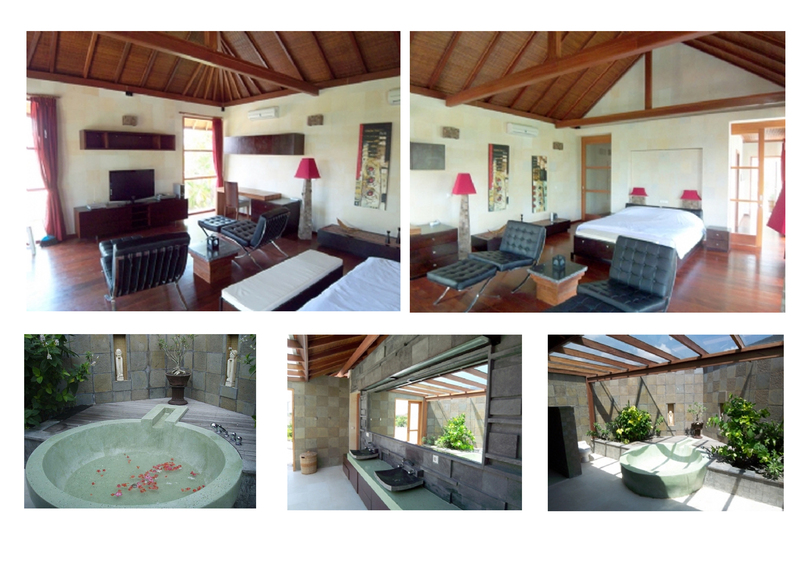 The main building itself consists of two suites bedrooms with en suite bathrooms. In the main building you will found a spacious living and an open living with kitchen. The kitchen is fully equipped with the best quality. Living in this villa means that you experience everywhere the outside living. Separated from the main building is a guesthouse with a bedroom and again an en suite open bathroom. 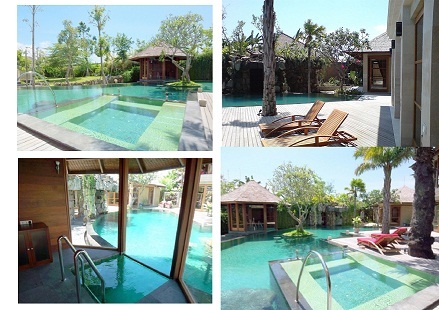 Very special about this villa is that the garden doesn’t stop at the house ore swimming pool. On top of the roof is a roof garden created with natural rocks and tropical vegetation. Smartly hidden and yet so important is the laundry room. On the left and right side of the entrance you will find the garage, with provides enough parking spaces for two cars and the staff quarters. Even a waterfall is created over the pool and is partly covered with tropical vegetation.